I am so excited to announce this series coming to the blog during the month of October! 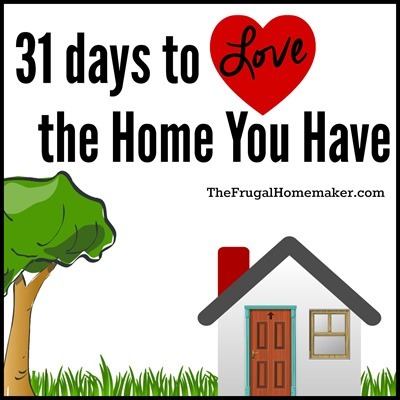 Every day during the month of October, I will be blogging about ways we can fall in love all over with our home again and truly love the “Love the Home You Have”. I ordered it back when it first came out but it wasn’t until we were on vacation this summer that I got a chance to read it as I sat at the beach and pool relaxing. It was inspiring, motivating, challenging, and just really spoke to me where I am in life. Melissa is a self proclaimed house lover who has moved 6 times since she was married – sometimes owning a home and sometimes renting. Through their journey of living in homes that weren’t her style or needed lots of work she learned to put aside that “dream home mentality” and embrace and fall in love with the house she currently has while doing what she could to make it feel like home for their family. I laughed and cried at their adventures and misadventures and honestly just begin to grow a deeper and different love for my home that I never had before. 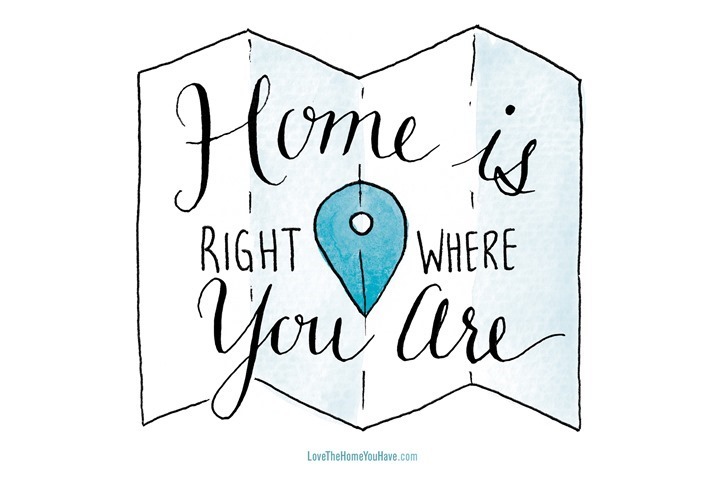 I have never hated my house, but yes at times I have found myself wishing it was a different style, cleaner, more organized, upgraded, more space, not in a neighborhood…. I drool over those blog posts and home magazines right along with you, and wish I could re-create that look in my own home. But yet as my husband and I talked about putting our house up for sale and I became more focused on completing some unfinished projects before we could do that, I began looking at my home with different eyes. I began appreciating it for the lessons it has taught me (in DIY, decorating, cleaning, home improvement, and yes even contentment), in the memories we have made here, in the sweat and tears I have poured into projects and painting to make it feel like home to us, and the blessing it has been to us and those that have come in our doors. So how can we develop this sense of contentment with our home while yet working hard to make it better? That’s what I plan to write about and honestly develop more in my heart and life right along with you during the month of October. We will discuss simple changes we can make not only in our home but also in the way we view our home that will help us fall in love with the home we have and not the one found on our Pinterest boards. 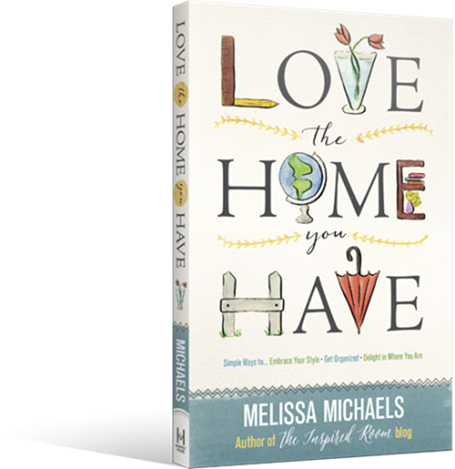 I will be blogging through the “31 day Love Your Home challenge” that Melissa has in the back of her book, so if you have a copy of her book grab it and follow along. I would love for you to complete the 31 day challenge with me – maybe do it one day behind so that you can read my post that morning and work on it that day or the day after. As the series goes on, I will link all the posts below so you can always come back and catch them all right here. And for those of you that don’t have the book and would love to read it and dive right into the challenge, Melissa has generously agreed to giveaway 2 copies to 2 of my readers! Just enter using the rafflecopter widget below. Giveaway will close Monday, September 28th and winners will be notified by email. I am looking forward to reading this book. I have followed Melissa’s blog for a long time and love her talents. I am SO looking forward to your series!! I read this book earlier in the summer and really enjoyed it. I’m anxious to see how you will incorporate the book with practical examples and advice, not to mention good ideas! Thanks for giving us a “sneak peek”! I can’t wait!!! You always have such insight! Thank you so much for introducing this, I have not been loving my home recently. It needs some TLC especially when you have a wood burning stove – things can get messy quickly. I definately need somthing to get me inspired. I will be following along. I’m so looking forward to this series! The idea of being content with what you have is a subject I’m truly passionate about. I am really excited about this month’s postings. I need to fall in love with my home again. Your timing is great. Looking forward to your insight and guidance. I need to read this book for inspiration, because I’m at a lose right now. I am so excited about this series. I can get so complacent in our home and really need inspiration!!! Thank you… Can’t wait! Looking forward to your series and this book sounds so helpful. I am really looking forward to this series. I think we often are caught up in what we don’t have instead of appreciating the wonderful things we already are blessed with. I am excited for this. I know it will be helpful! Would love to have her book. What a lovely thought for the place we are in! Well I really need to love the home we have and have been in for nearly 40 years. Right now I’m contemplating being stuck on the main floor, unable to shower or bathe during my recuperation from knee replacements – yes one right after the other. Sewing Room and TV will have to come to me – not sure about the Christmas tree! I’m looking forward to reading your posts in October as I have been in the process of learning to love the home I have for a few years now. I am getting there…slowly, but surely. Thanks for always providing affordable and common sense advice. Have a nice weekend! I would love to read this book and I’m looking forward to your 31 days of blog entries. I agree it’s so easy to be unhappy with aspects of your house, so it’ll be interesting to see what you write about to foster contentment and love for the house we have! That’s an uplifting thought! We need to count the blessings we have. Thanks for the reminder! ? I have heard a lot of good things about this book and am looking forward to making myself love my home like I should. I am really looking forward to reading this series! 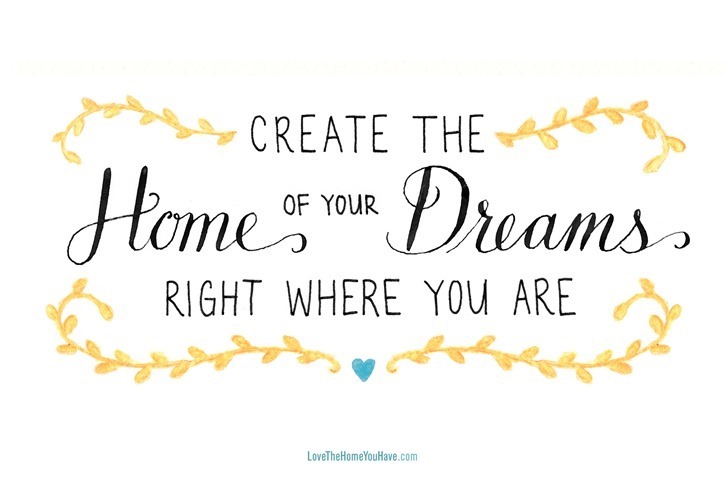 Cannot wait for the inspiration, I need to Love the home I am in! Would love to win this book and make some changes to my house! I am looking forward to this! I struggle with being happy with my current home, as it is old & needs so much work. I get overwhelmed in trying to figure out where to get started. I had not heard of this book! I look forward to following your 31 Days series and learning more about it. I’ve read the Nester’s book and found it very helpful. I’m guessing this is similar so I look forward to learning more! Thank you for the chance to win. I’ve enjoyed the 31 days series over the past few years. 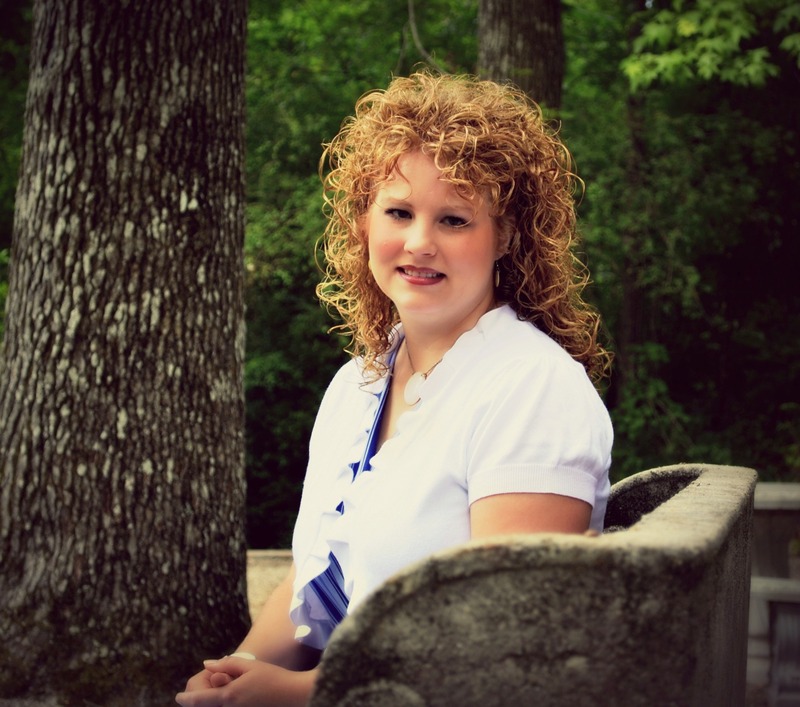 Christina – I am so happy you have decided to go ahead with the 31 Day Series again this year! I have followed you every year and October is awesome! The book looks like a good read! We must learn to be content with the things we have been blessed with! Unfortunately our “first world problems” often get in the way. For the series – I’m interested to see how you will tackle this topic. Perhaps you will show us some rooms that you have never shown before? You did that with your master bedroom and look at the transformation! Well done! What a great idea. Love what you have instead of being envious of what others have. I’m bummed I missed the giveaway! Oh well, I guess I’ll just need to order it 🙂 I stumbled across this book yesterday & thought it looked like a great read! I, too, have been guilty of the “grass is greener” mentality. Looking forward to your posts!